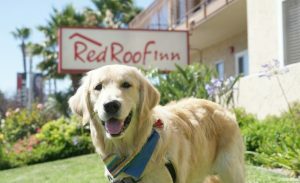 Pawsome News! 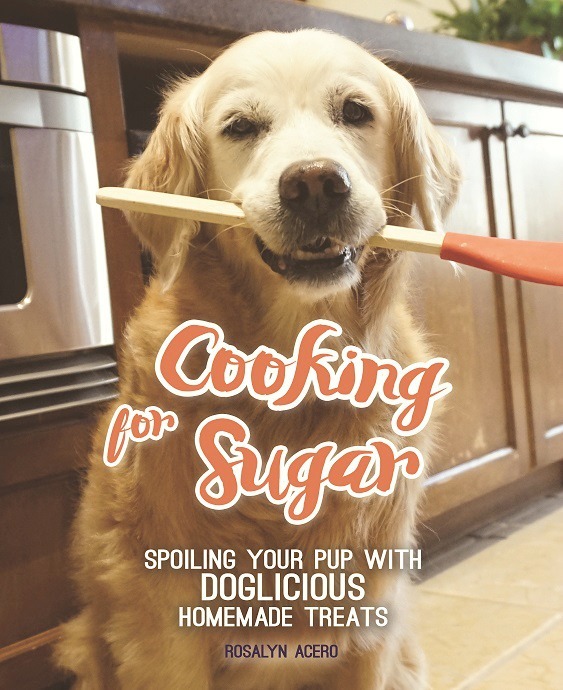 My homemade dog treats cookbook Cooking For Sugar is now available pre-order on Amazon, Barnes & Noble and Indie Bound. 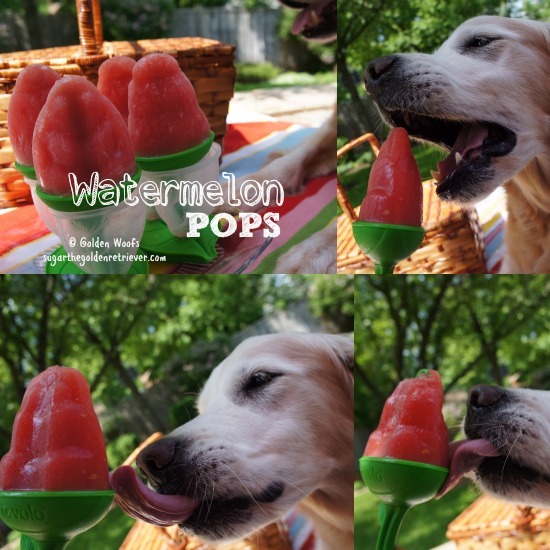 Watermelon is a refreshing fruit and great to have on steamy summer days. Watermelon has an extremely high water content, about 92%. It’s packed with vitamins A and C and potassium. 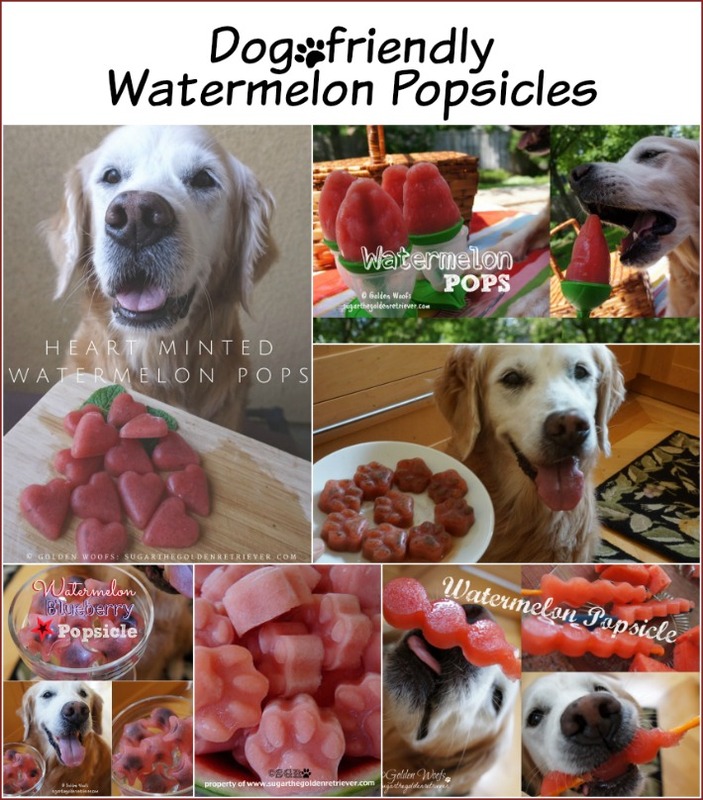 Watermelon is also known to help reduce muscle soreness, so its a great fruit to have after a long walk/run with your dog. 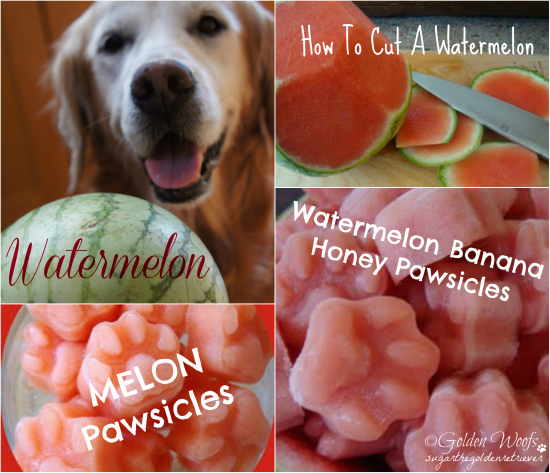 Yes, dogs can have watermelon (in moderation). To be safe and to avoid stomach upset, make sure to remove the seeds. Some eat the rind part of a watermelon, we don’t recommend it. 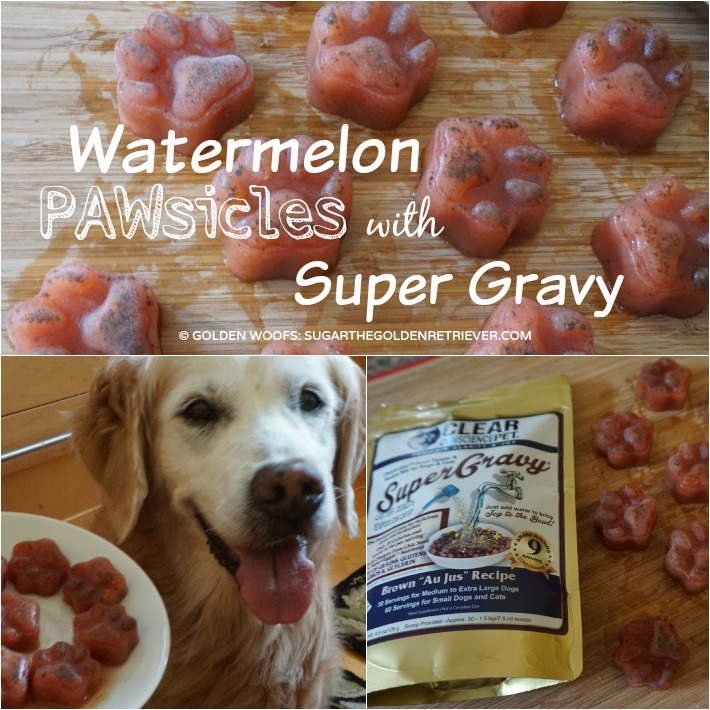 Watermelon Pawsciles with Super Gravy: Quench Your Dog’s Thirst: Watermelon Pawsicles w/ Super Gravy by Clear Conscience Pet. 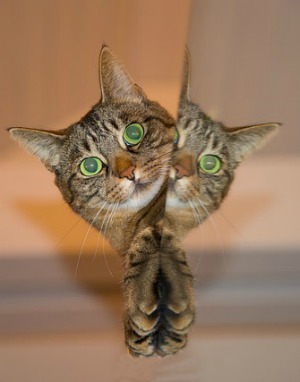 Super Gravy is a Holistic Gravy mix for dogs and cats. It’s a superfood made with beef liver, organic super veggies and chia seed. 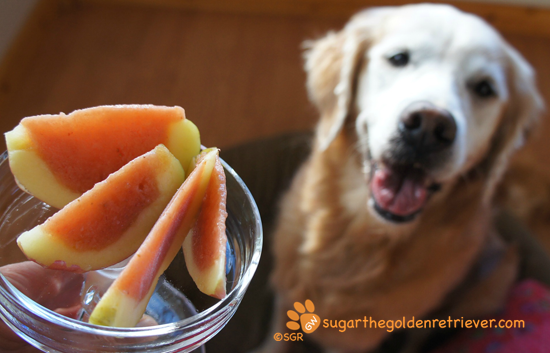 Sugar loves watermelon. Being from the Midwest, watermelon is a fruit we only see in the Summer. There is a unique availability of watermelon here in California. Watermelon is made up of about 92% water. 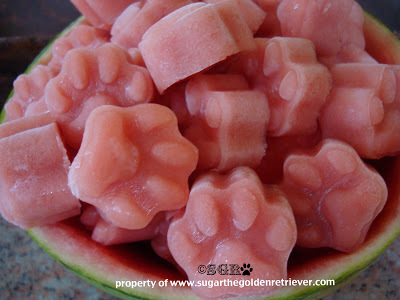 It’s been warm here in California and watermelon is a great refreshing fruit. 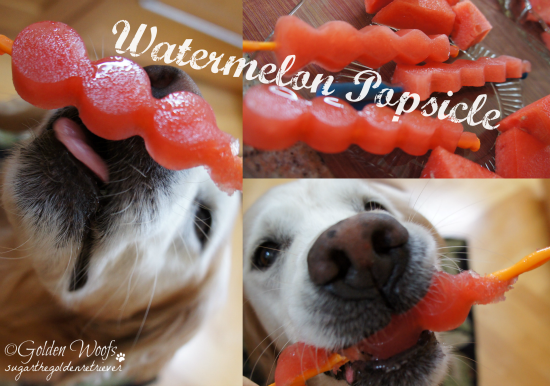 Since it’s Pet Dental Month, adding mint to make watermelon pops will provide your dog fresh minty breath too. In a blender, puree the watermelon with the fresh mint leaves. Pour the puree into a popsicle mold like a heart shaped mold. Freeze until hard, ~ 2hours. 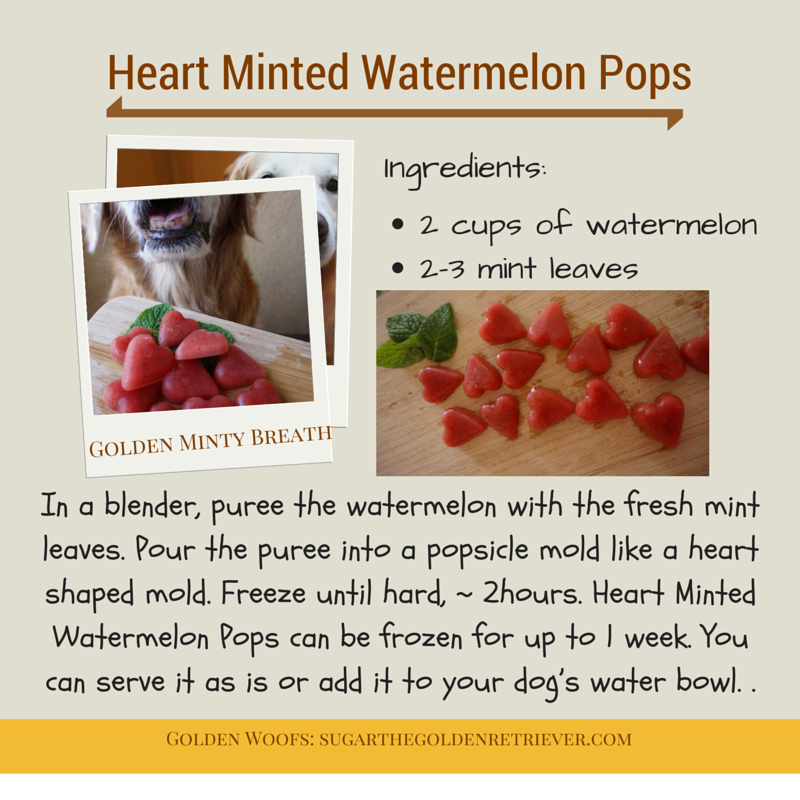 Heart Minted Watermelon Pops can be frozen for up to 1 week. 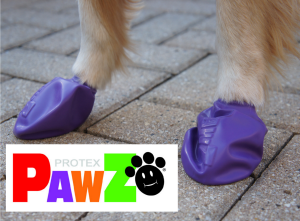 You can serve it as is or add it to your dog’s water bowl. 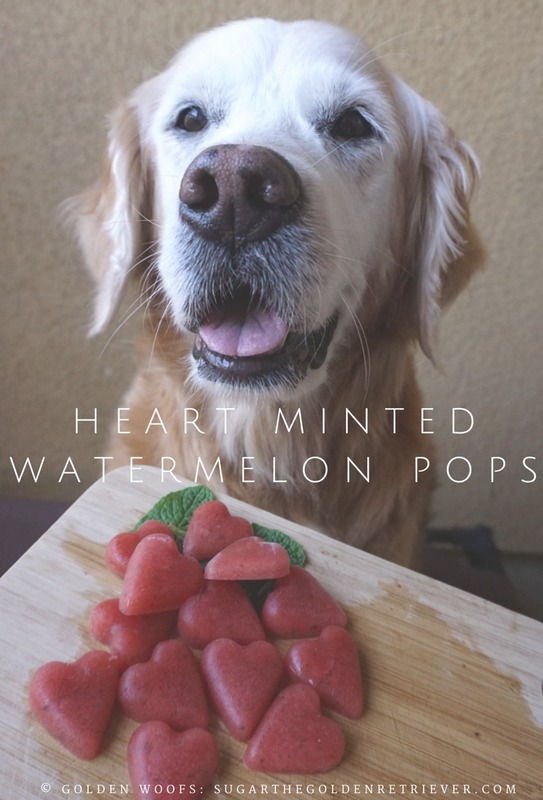 Heart Minted Watermelon Pops is a treat you and your dog can enjoy together. It’s an easy way to have fresh breath. 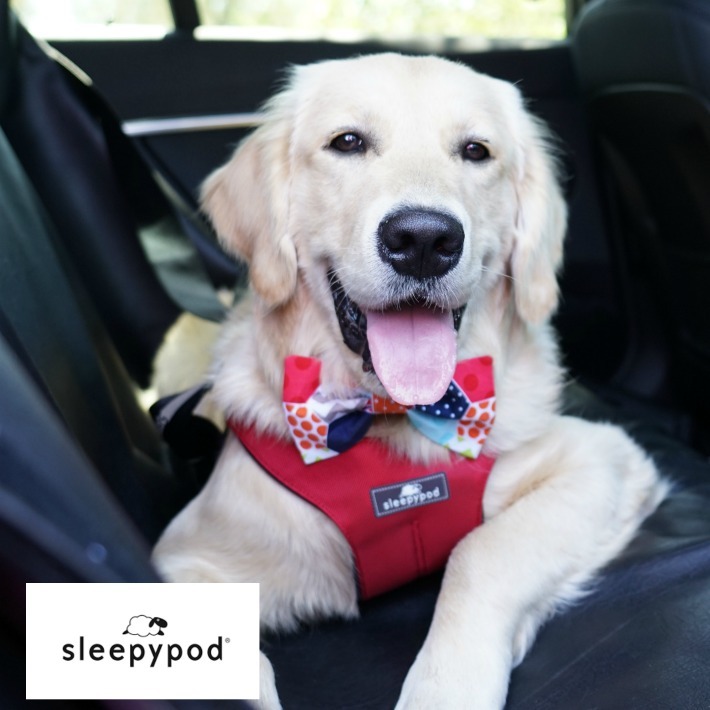 Mint such as wild mint, spearmint and peppermint are non-toxic to dogs. The only species of mint that is toxic to dogs is English pennyroyal (Mentha pulegium). 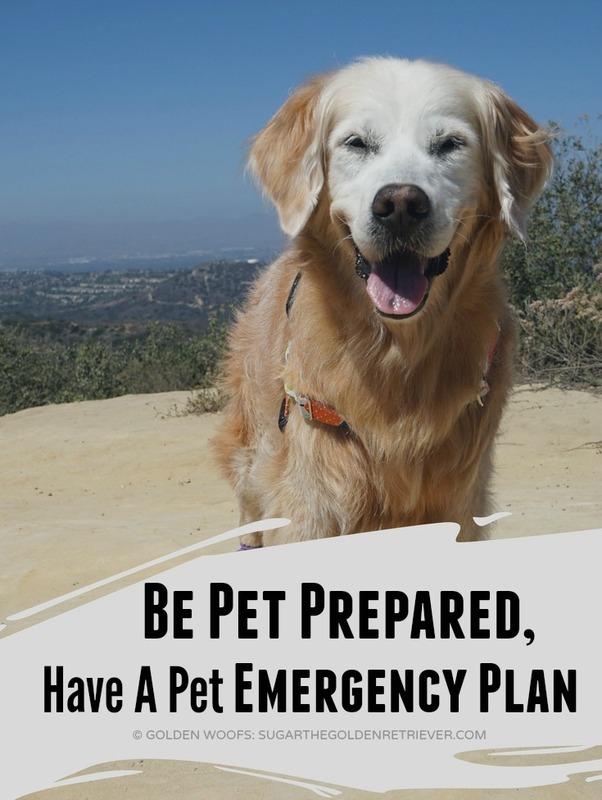 English pennyroyal contains the chemical pulegone, which is both toxic to dogs and to people. If ingested in large amounts, Pulegone can cause liver damage and organ failure. 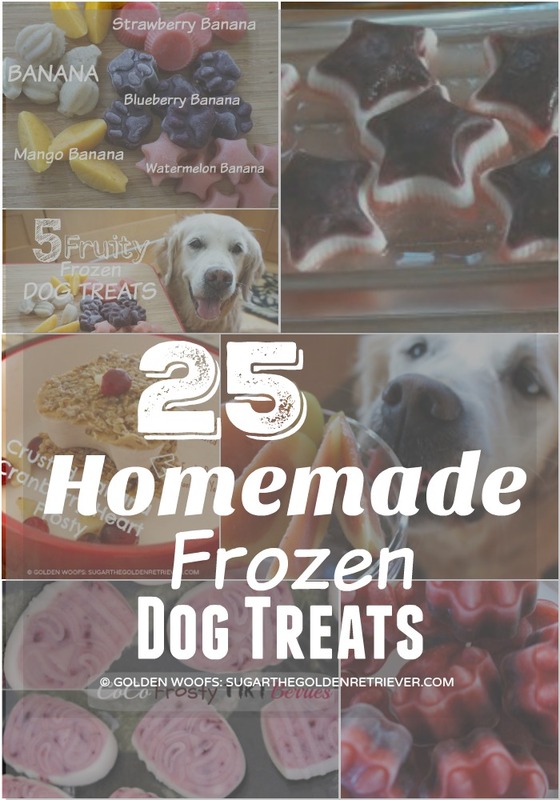 Have you used mint in making treats for your dog? One of the best things about summertime is Watermelon. Did you know? Watermelon is made up of about 92% water. 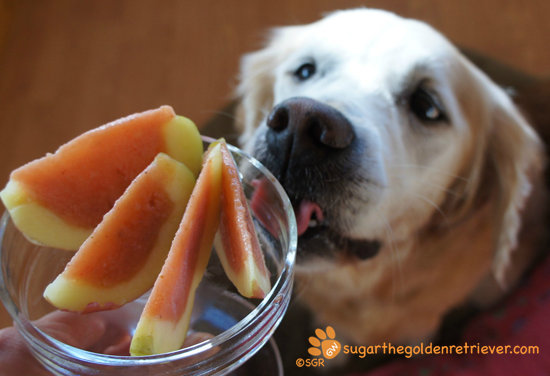 It’s a PAWsome Delish refreshing and hydrating fruit treat you can enjoy with your dog. Adding ice cubes is optional. Pour into an ice cube tray or mold. 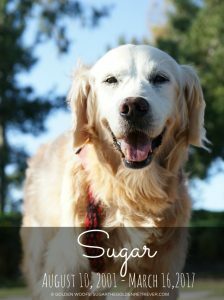 If you are joining our Tasty Tuesday Blog HOP, Golden Thanks! 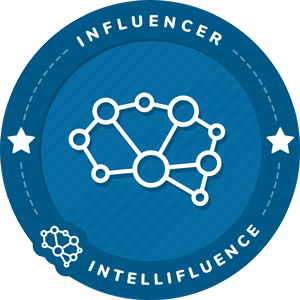 Don’t forget to grab the Hop’s Badge and post it along with your blog post. 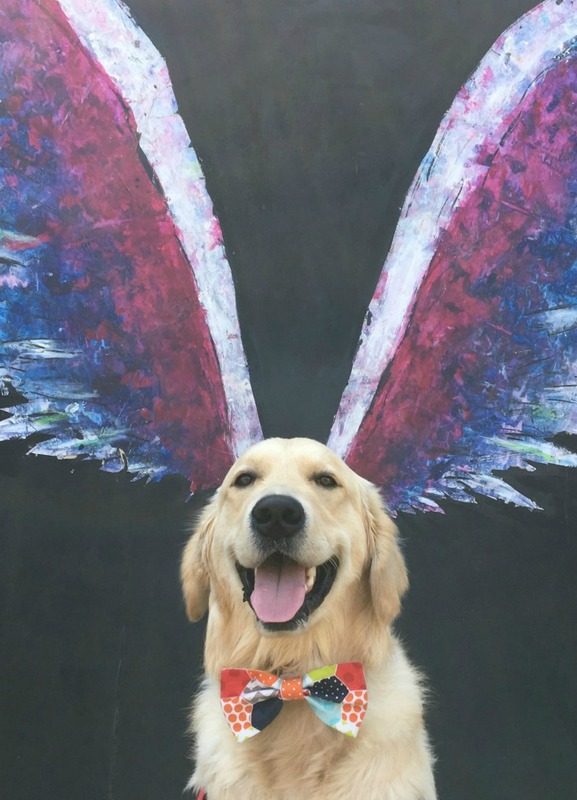 Hop’s Badge is located on the Tasty Treat Recipe Page. 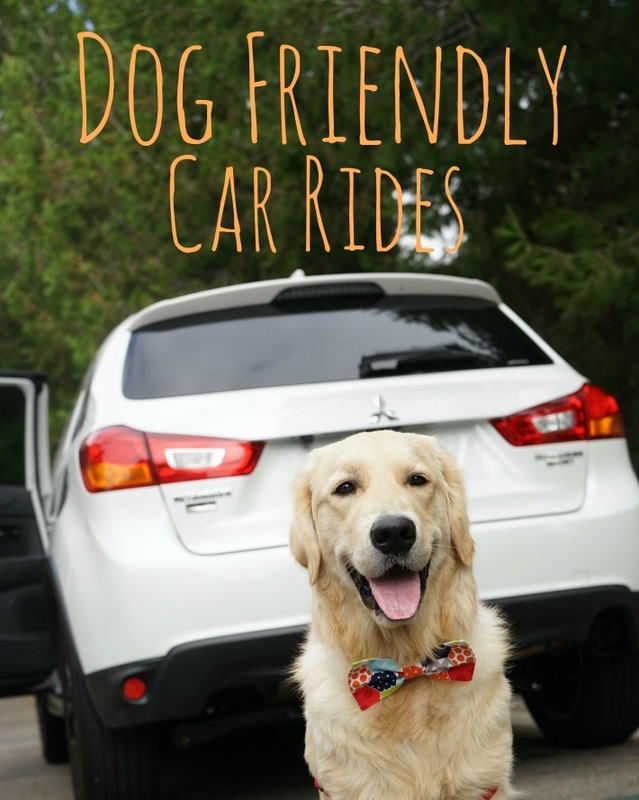 Also, don’t forget to Link-up your blog post on the HOP (below). 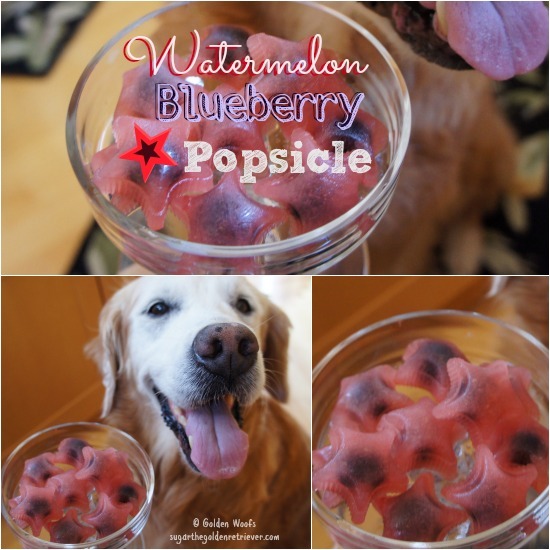 It’s warm where I am so mom is being creative on making me cold fruity treats. Appsicle, a word mom made up and is her new creation. Why is it called Appsicle? 1) Cut the apple in half. 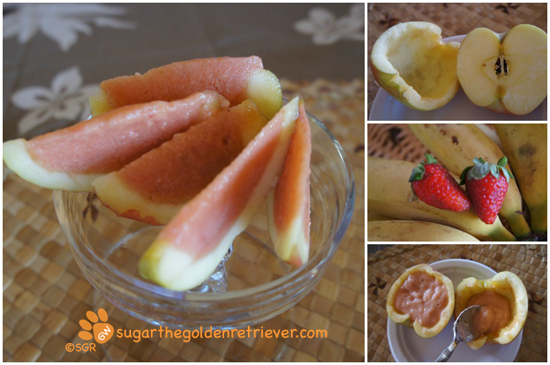 3) Place it in the blender with the banana and strawberries. Blend it. 4) Using a spoon, place it inside the apple. 5) Freeze it for about 20 minutes. Then slice into small pieces. 6) Re-freeze it after cutting. 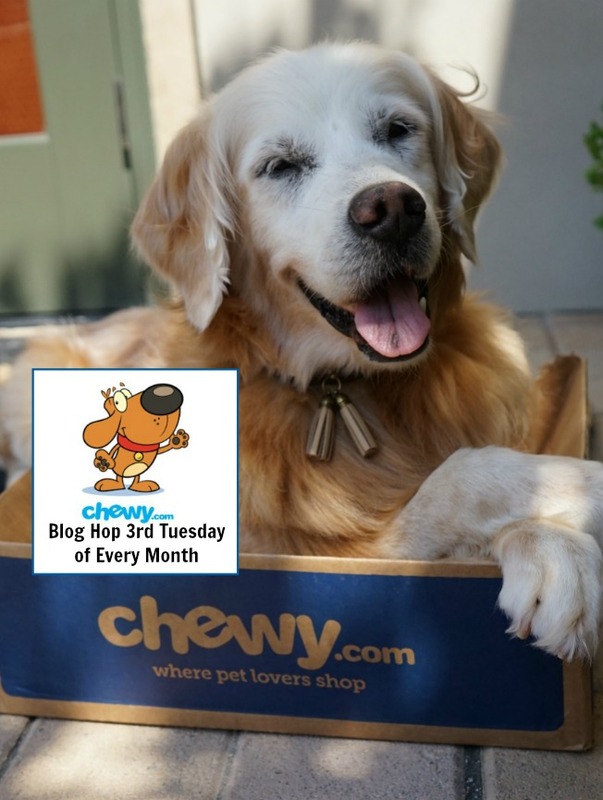 Don’t forget to grab the Hop’s Badge and post it along with your blog post. 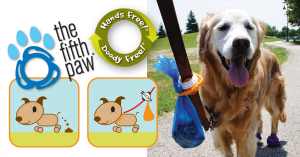 Hop’s Badge is located on the Dog Treats Page. 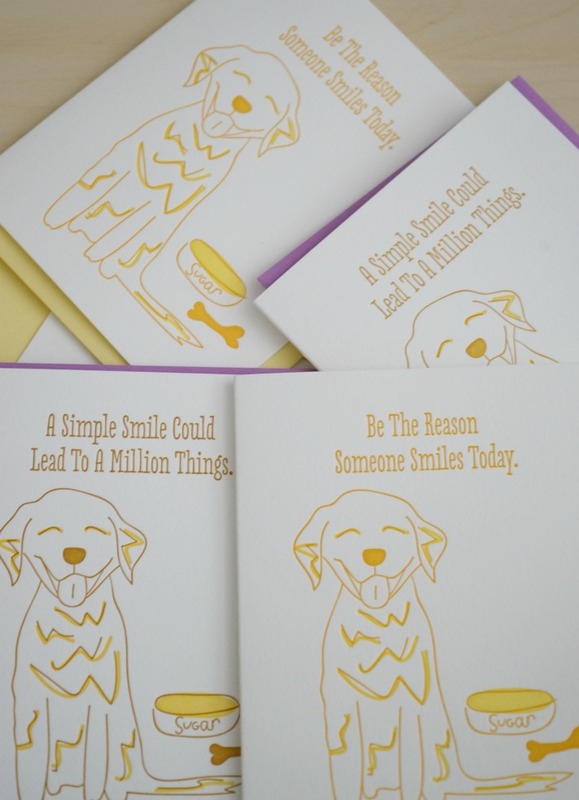 To also post the Blog Hop Code, Click Here. 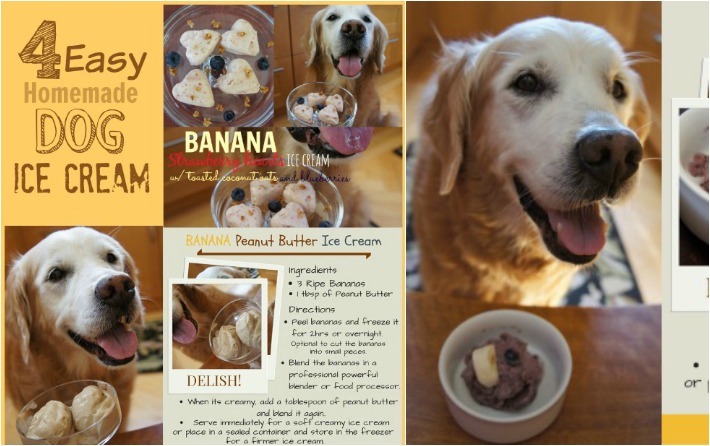 Please find some time to visit all the Tasty Tuesday Blog Hop participants.